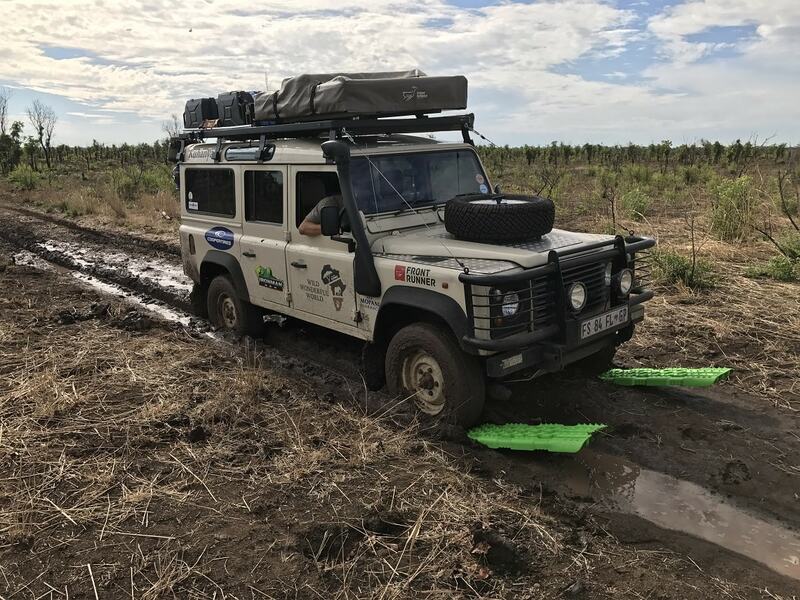 With their beloved Landy, Kuhanya, Michelle Campbell and Grant Pengilly, the duo behind expedition Wild Wonderful World, completed 6,836km – all in the name of sharing their passion for conservation. Experienced field guides themselves, they wanted to spread their knowledge by travelling through Africa. At the same time, they wanted to learn more about on-the-ground conservation efforts elsewhere on the continent. 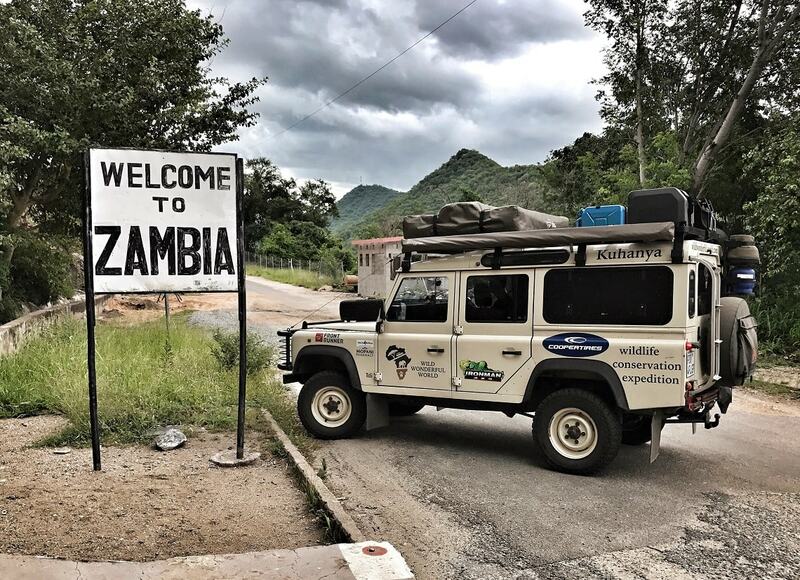 Spending some three months on the road, the couple traversed Botswana, Zimbabwe, Namibia, Zambia and Malawi. 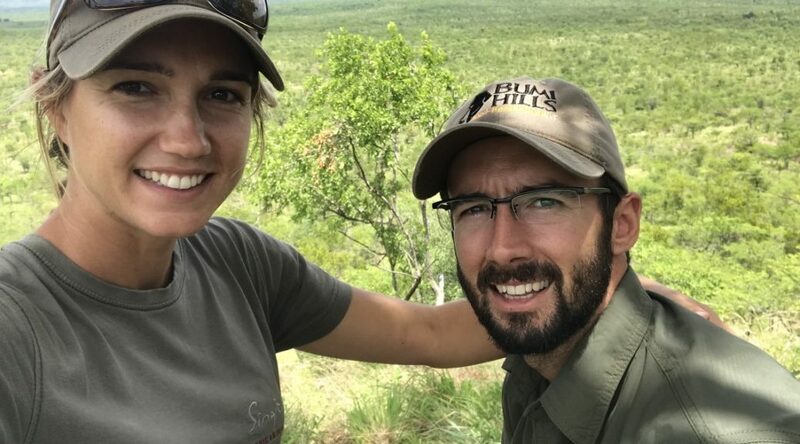 After visiting 12 game reserves and assisting five wildlife conservation projects, they returned inspired by the efforts and commitment of individuals fighting for the future of Africa’s wildlife. People who do so despite interfering politics, limited funding and shrinking resources. Setting off from Johannesburg, Michelle and Grant headed through the Central Kalahari from south to north. 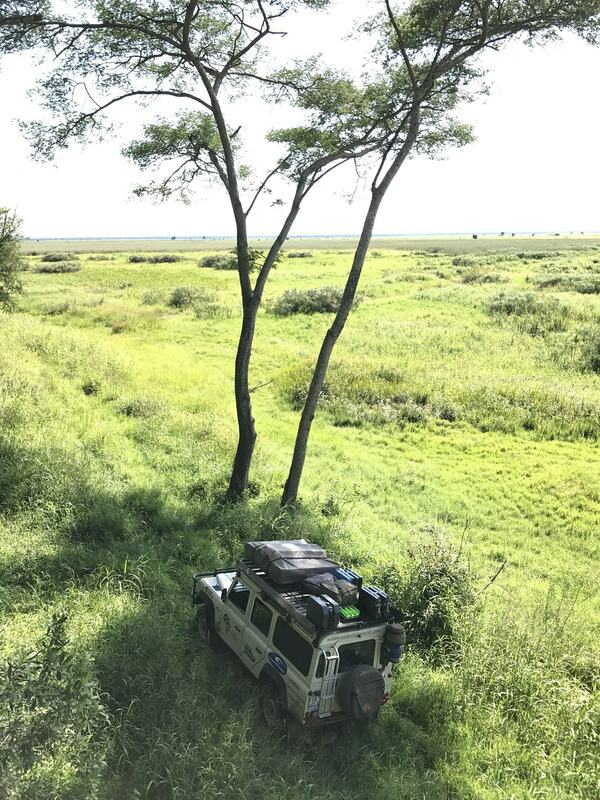 From Maun, they drove through the Caprivi Strip into Zimbabwe via Chobe National Park. After crossing Lake Kariba by ferry, they entered Zambia before travelling to Lilongwe in Malawi. How did your involvement with Tracks4Africa come about? M: We’d already saved for quite a long time to put the whole of our combined savings towards the trip – it’s a passion project. We were pleased when Tracks4Africa supplied us with various navigation solutions. Our collaborators have to share our passion for conservation in Africa. The very valuable T4A GPS Map took us to places that not many people have been to or seen. G: I’m so surprised at how many small roads are indicated on the T4A maps. Some of these tracks are in the middle of the bush and haven’t been driven on for quite some time – they simply disappear over time. The T4A maps provide you with coverage of even these routes. M: I think it shows how quickly places develop. Some of the regions that used to be extremely remote now boast main roads. Also, the speed at which villages grow and community encroachment we found quite surprising – it all happens so quickly. A braai with a view! 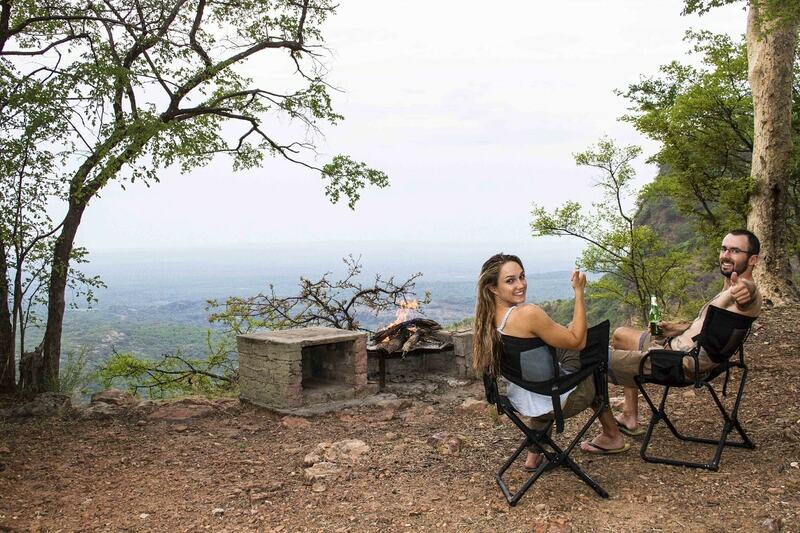 Time for some downtime at Chizarira National Park in Zimbabwe. So, Africa is more accessible with T4A? G: Definitely. At one stage you are completely lost after a road has mysteriously vanished. Then you look at the map, and before you know it, you find another route. The resources that T4A provides, are amazing. It prevents so much of the stress of travelling to places that you’ve never been to. Planning the expedition must have taken months of research. G: For the most part, we were looking for routes off the beaten track. Planning in advance at least gives you the confidence that there is in fact a drivable road en-route to a specific location. Your Landy is called Kuhanya? G: For us, it was in with the old, and out with the new. We previously owned a much newer Land Rover, but it was disconcerting to think that so much of the car’s technology was based on electronics which was incomprehensible to me. We opted to go for the older 300Tdi – a much easier, mechanics based model and more understandable vehicle to travel with. Kuhanya is a donkey, really slow. We can reach some 90km/h on a highway, which is actually great for travelling through Africa, because one gets to enjoy the surrounds. Apart from a few loose nuts and bolts… So far, so good. M: Grant is a very good self-taught mechanic. We have never been stuck on the side of the road. Venturing through black cotton soil in Hwange National Park situated in west Zimbabwe. M: There’s so many! Although the Central Kalahari was right at the beginning of our trip, it was a phenomenal experience. We travelled from the south all the way up to the north. That very remote wilderness feel definitely stood out for me. Setting off on this expedition, remoteness was our number one aim. Crossing the Kalahari’s Deception Valley in the heart of the Central Kalahari Game Reserve. How exactly do you assist conservation projects? G: Anything from the training of wildlife scouts to sharing information of the location’s fauna and flora to fixing and recovering vehicles. It’s all about creating and fostering a passion for wildlife and nature, and broadening people’s knowledge on the environment. I think it’s very important to encourage others to value what we’ve got. Spending time with these guys that work in very isolated areas is very special. 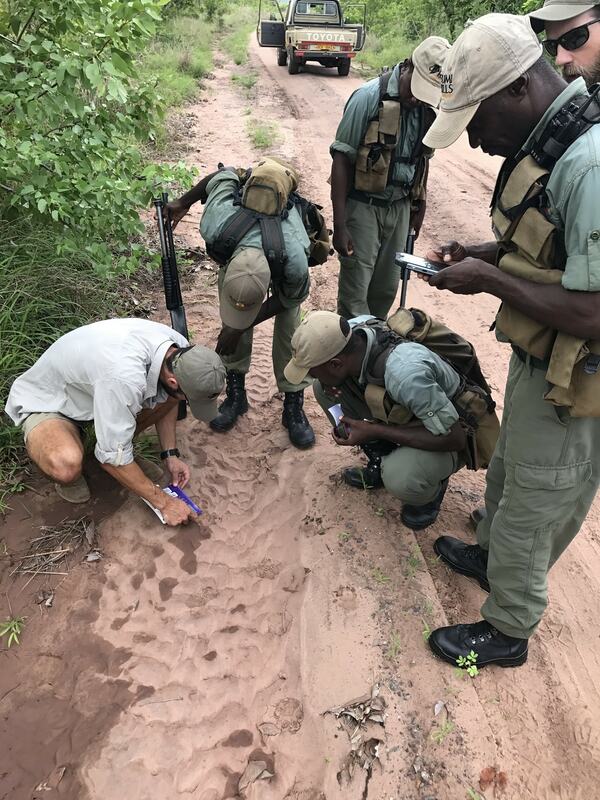 Grant teaches some anti-poaching scouts in Zimbabwe the finer points of tracking. 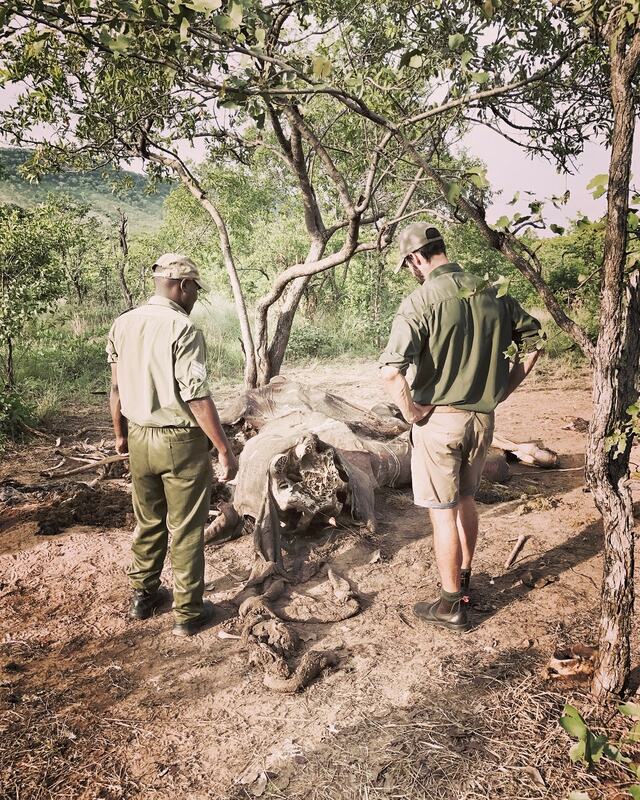 Shock when Grant and a ranger discover the decomposed remains of a poached elephant while patrolling on foot in Zimbabwe. M: The second part of what we’re doing, is sharing the stories of the people involved in conservation projects in Africa. By sharing their experiences and struggles on digital platforms, we can ultimately assist in raising much needed funds towards the vital work they are doing. During their five nights in the Kalahari, Grant and Michelle came across a hapless young male kudu stuck in a fence. They decided to do everything in their power to help free the animal. Have a look at the riveting video below. Make sure to follow Wild Wonderful World on Facebook and Instagram for expedition updates, photos, videos and more. If you’re interested in funding their journey, send an email to info@wildwonderfulworld.com.